September 20, 2016 By Claire Davidson & filed under Blog, Recipe Roundups. Stop us if this sounds familiar: you’re short on time in the morning so you reach for a measly granola bar, a pastry, or maybe just plain old coffee as you rush out the door. You know that eating breakfast can help you lose weight by jump-starting your metabolism for the day, but you’re fresh out of ideas on how to fit in a nutritious breakfast before your commute. So you stick with something quick, dirty, and unsatisfying. In short, you’re stuck in a breakfast rut. And that isn’t just damaging to your morning; it can have a ripple-effect on your eating choices for the rest of the day. Because let’s face it: if you start out the day on a bad dietary foot (we’re looking at you, break room doughnuts), then you’re more likely to cave to other cravings throughout the day. But if you start with a protein-packed breakfast—one that actually fills you up— you’ll be more satiated, more energized, and more likely to make healthy, portion-controlled food choices throughout the day. So consider this your wake-up call: we’re here to help snap you out of your breakfast rut and get you back on track! 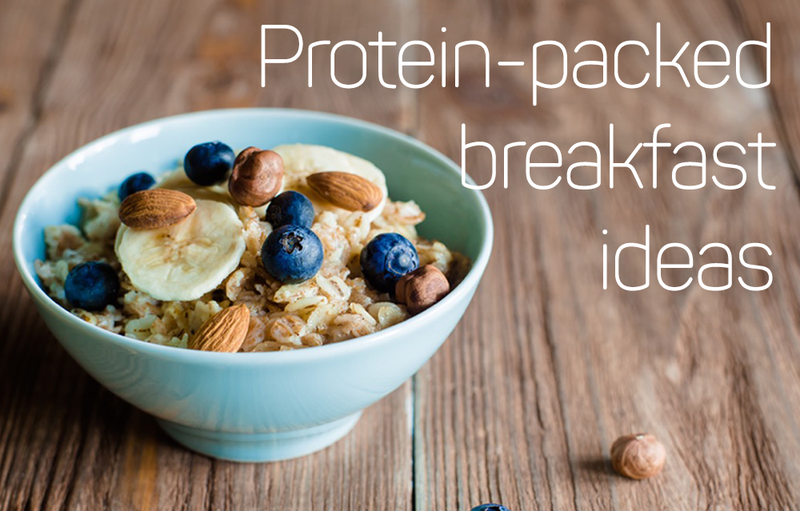 When you want a healthy, high protein breakfast to fill you up, look no further than these seven protein-packed breakfasts. 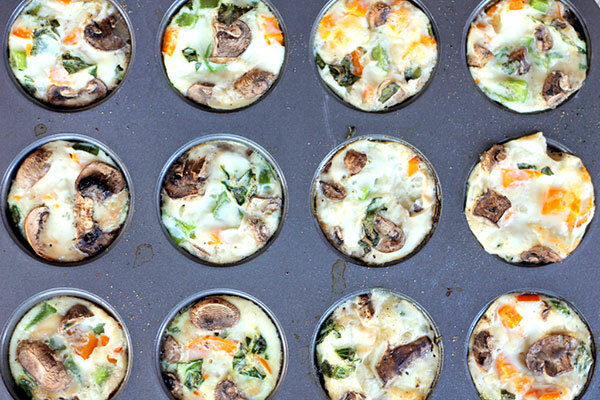 Muffin tin breakfasts top our list for easiest meals ever. (And who doesn’t love a cheese-egg combo?) Prep these breakfast muffins the night before or quickly throw them together in the morning and you’ve got a wholesome meal that’s low-carb and high on protein. 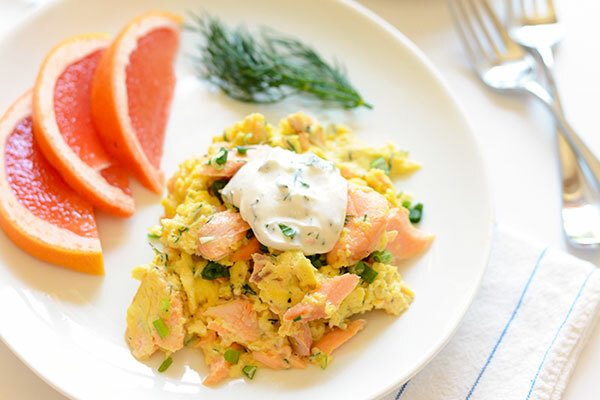 Ten minutes is all it takes to make this flavorful scramble, full of protein and healthy fats from both the eggs and salmon. Add in some fresh dill and a special Greek yogurt topping, and you’ve got a mouthwatering breakfast that will give you plenty of energy to tackle your day. 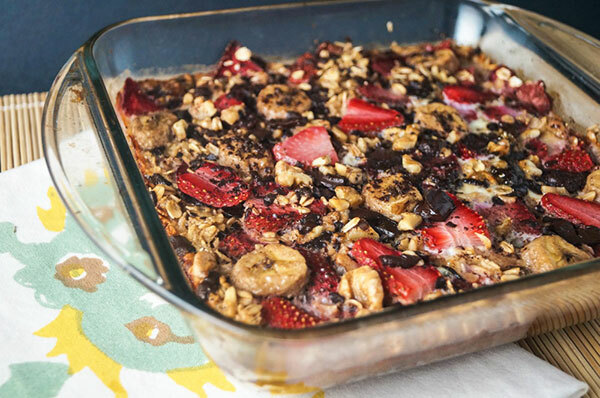 We’re suckers for anything sweet, but in addition to being deliriously delicious, this baked oatmeal also boasts plenty of protein and fiber to keep you full all morning. Not to mention you get an antioxidant boost from the strawberries and plenty of potassium from the bananas, helping you stay alert and even-keeled throughout any hectic morning. A fast-food egg sandwich packs an astonishing amount of calories, unhealthy fat, and sodium. 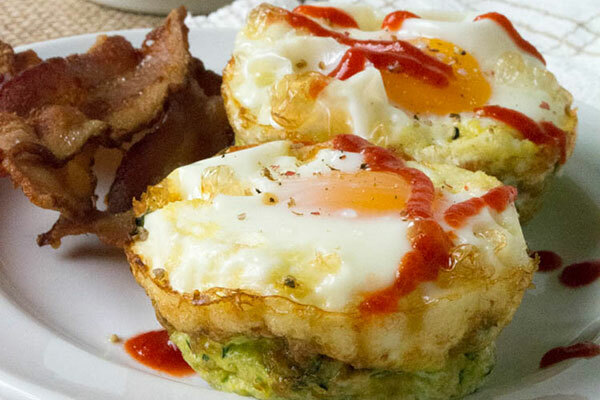 But when you make them yourself—using turkey bacon and eggs in a muffin tin for ultra-easy prep—you get a protein-packed meal that clocks in at just 110 calories per muffin. This is a great breakfast to prep for a group too, as you just layer the turkey bacon and the eggs in the muffin tin and then bake for 15 minutes! One of the healthiest and most satisfying ways to start your day? 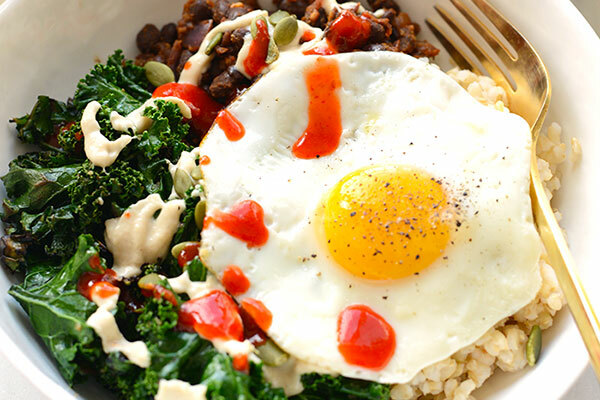 With this high protein breakfast bowl that’s also full of nutrient-dense kale, brown rice, beans, an egg, pumpkin seeds, and more. Prep a large batch of these bad boys ahead of time and make breakfast a no-brainer all week long. Five ingredients are all it takes to make this easy breakfast that’s rich in protein and flavor. Plus, the zucchini base acts as a great way to get an extra serving of veggies. Make the cups in advance and then cook the eggs in the morning so you can grab and go! 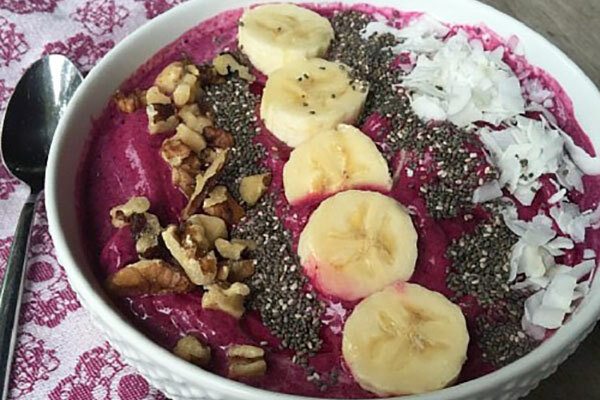 At over 20 grams of protein (and 220 calories) you’ll be full, focused, and guilt-free all morning with this pretty purple smoothie bowl. It’s also chock-full of immune boosting antioxidants and nutrients from beets and berries—making it a must-try breakfast in any healthy home. If smoothies and smoothie bowls are your favorite way to start the day, be sure to check out the 6-Minute Smoothies recipe E-Book from Get Healthy U. It’s packed with 26 nutritious recipes for quick smoothies every morning! 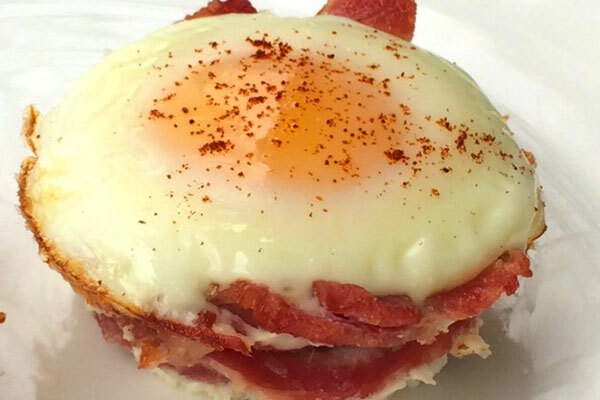 Thanks for sharing these delicious breakfast ideas.